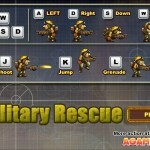 Action Shooting Miniclip Click to find more games like this. 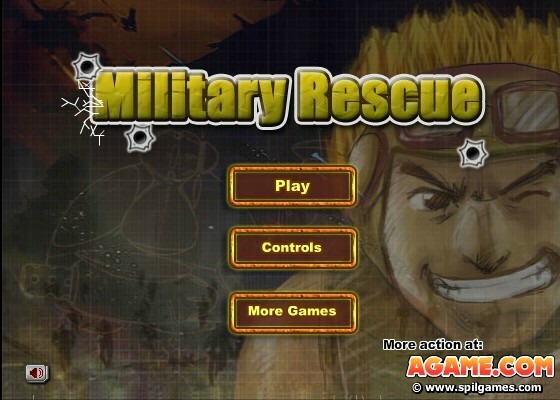 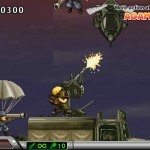 Marco the hero of the Metal Slug series is now in the great adventure to fight against the enemies through their base. 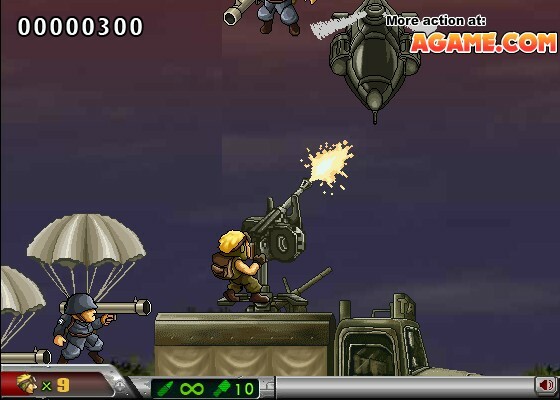 He will be on the top of the truck with the machine gun, which is the deadly position in the fight. 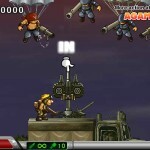 Heavy rains of bullets and missiles of the enemies will destroy him. 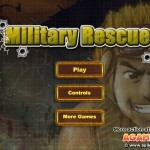 Your mission is to take down all the enemies, and then rescue the captives from the enemies’ base. 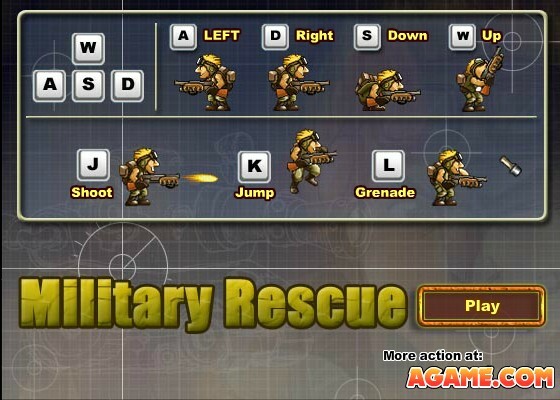 Starting with eight lives of Marco, your mission is to gain as much score as possible until you guys can rescue all the captives for your army. 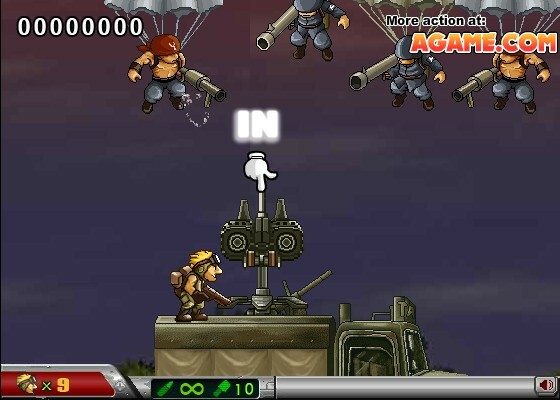 Marco need much of your skills to join with him and shoot all the enemies there and enjoy your war.